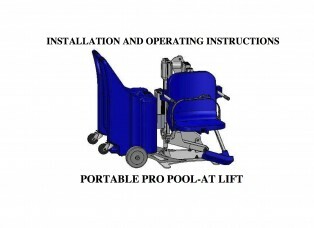 The Portable Pro Pool lift gives you the option of easily removing the lift from the pool when it is not required. 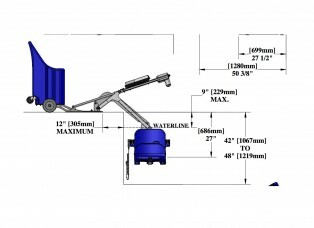 The lift is mounted on a trolley with counter weights in it and the design has the centre of gravity pivoting around the wheels and so is easy to pull back onto the rear wheels to move around. 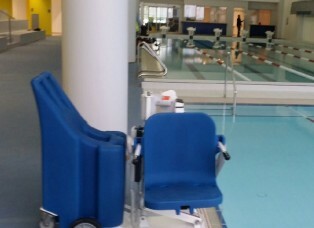 It is important to note that this weighs 400kg and so the surface around the pool needs to be flat and level.